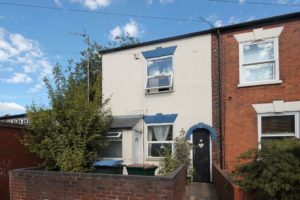 This three bedroom end of terrace property has been fully refurbished and extended and benefits from new central heating and double glazing. Comprising of a lounge, large kitchen/diner measuring 10 metres by 5 metres which also has a utility room off, French doors to neat gardens and downstairs shower room. The first floor houses the two double bedrooms, single bedroom and lovely family bathroom. Further benefits include a private drive and fully boarded loft with retractable ladders.